← A Slender Thread – 25 years on. Greetings from Scotland and thanks to Danny Carden for his wonderful shot of Edmond and me climbing in Glen Torridon last weekend. I’m hoping to fit in a lot more climbs over the summer, juggling next month with all the tempting delights at the Edinburgh Festival. If you live in or near Dorset, please tell people about a talk I am doing at The Lighthouse in Poole on October 4, marking the 25th anniversary of my lucky escape from Panch Chuli, the subject of A Slender Thread. 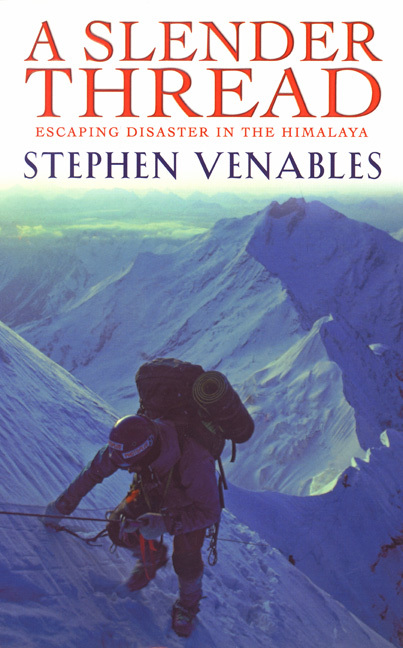 Also in the autumn, a special fundrasing event for the number one mountain literary prize, the Boardman Tasker Award. Pavilion Arts Centre, Buxton Opera House, October 17. It is going to be a great evening, with speakers including two former winners of the prize – Andy Cave and me! I am also putting together a tour for February 2018. Newcastle is likely to feature amongst other English venues. Definite bookings in Scotland include Locheldy Centre on February 9 and Birnam Arts Centre on February 13. I am looking forward hugely to our January 2018 expedition to the Antarctic Peninsula. That trip is full. However, I am planning another Antarctic trip aboard Pelagic Australis for January 2019. Please contact me if you – or anyone you know – might be tempted. Skip Novak and I have also now firmed up plans for South Georgia 2018. As usual, we hope to entice a small group of ski mountaineers to do some quite serious stuff, in addition to a support team not less committed to mountaineering. We board Pelagic Australis in the Falklands on 8 September 2018 and return 13 October 2018. Full prospectus attached below for anyone tempted. (This is a low resolution PDF. If you would like to see the pictures in sharper focus please let me know and I will send a higher resolution version). With very best wishes for the rest of your summer. Or winter!